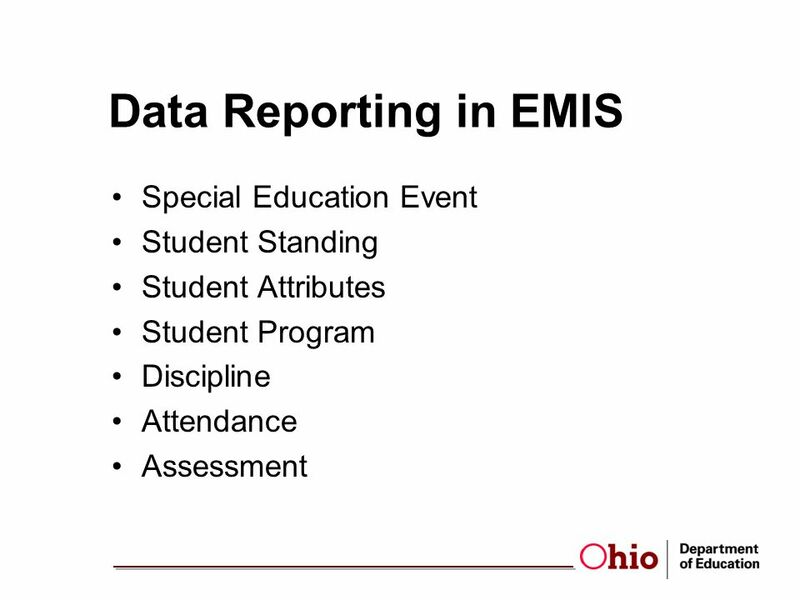 EMIS and Special Education Reporting and Compliance. 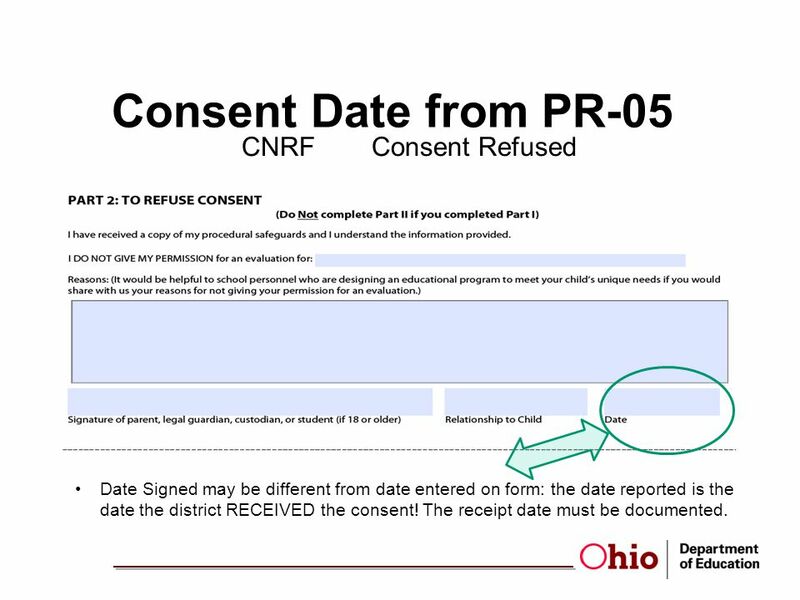 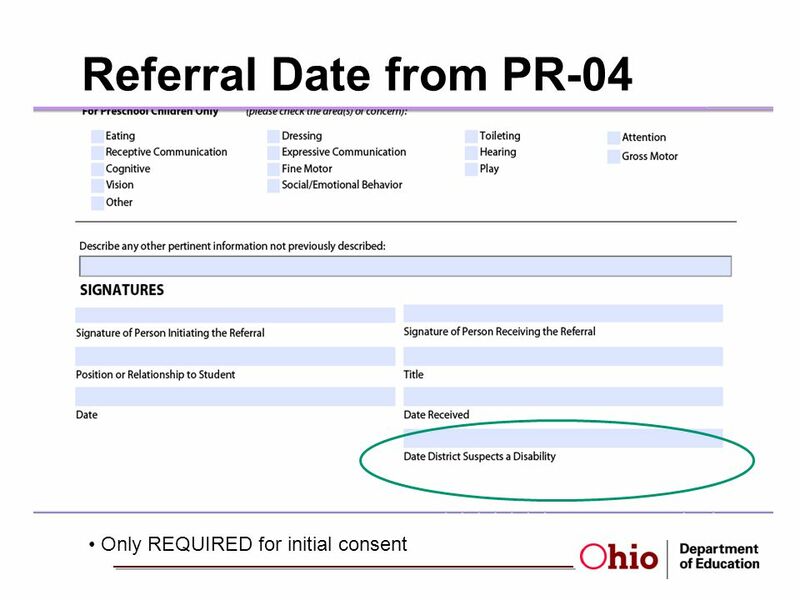 15 Consent Date from PR-05 CNRFConsent Refused Date Signed may be different from date entered on form: the date reported is the date the district RECEIVED the consent! 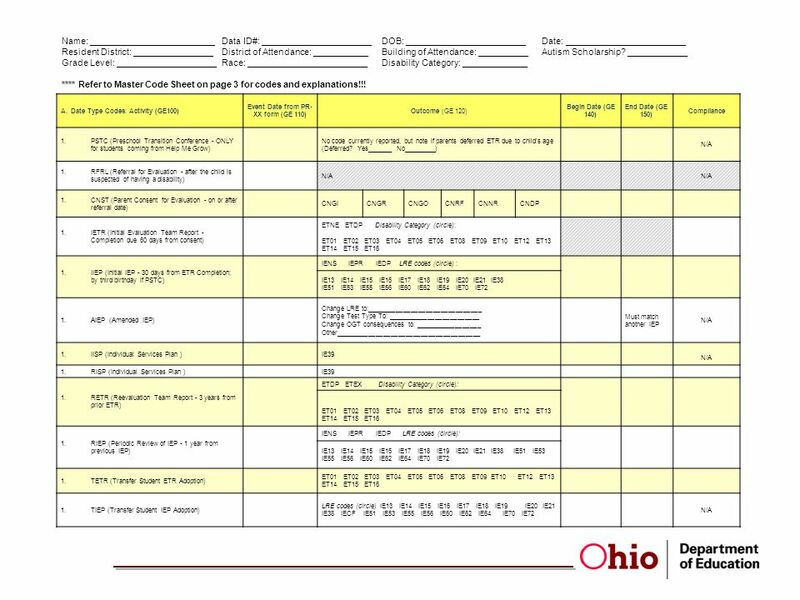 The receipt date must be documented. 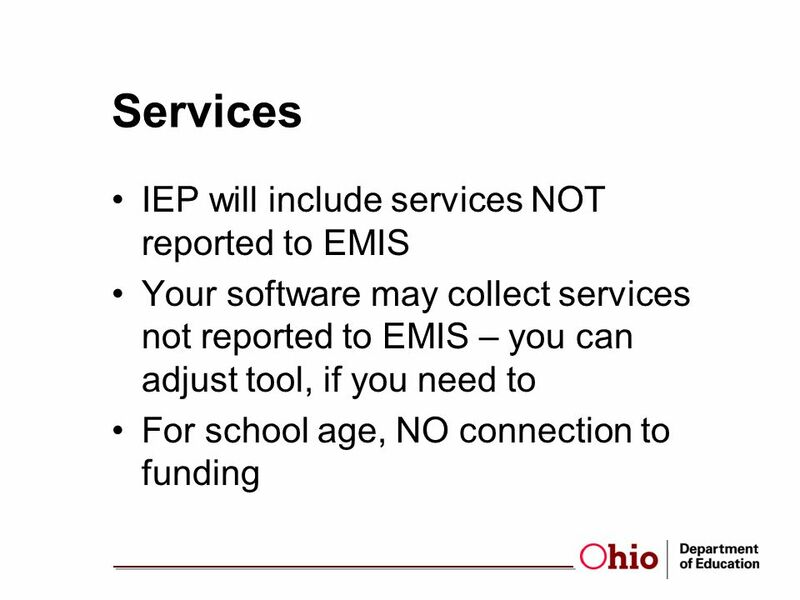 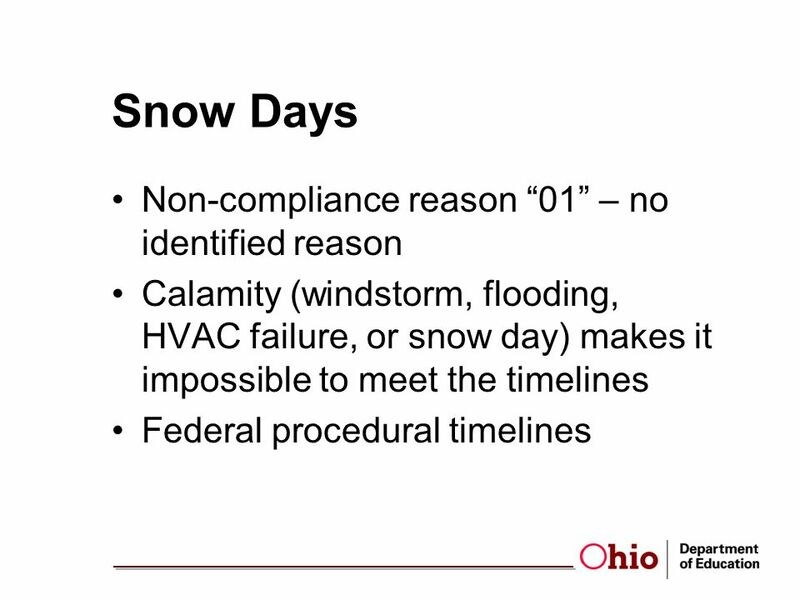 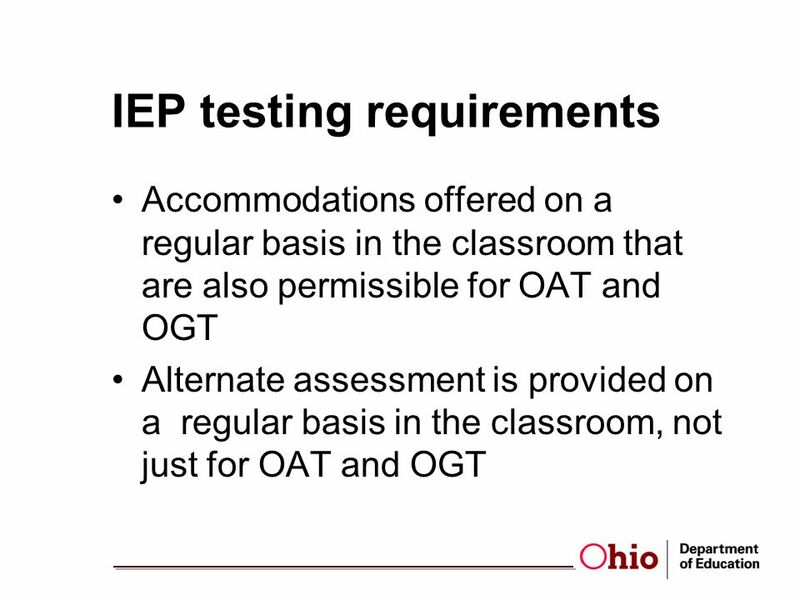 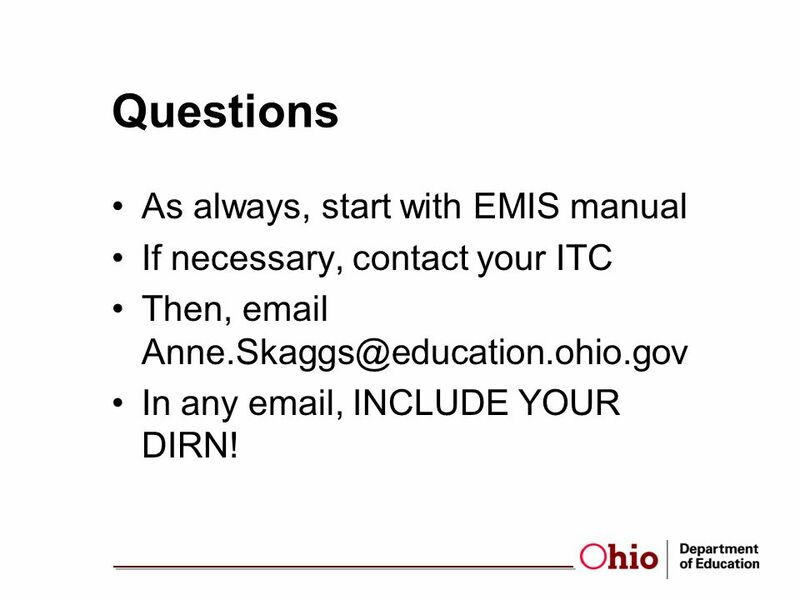 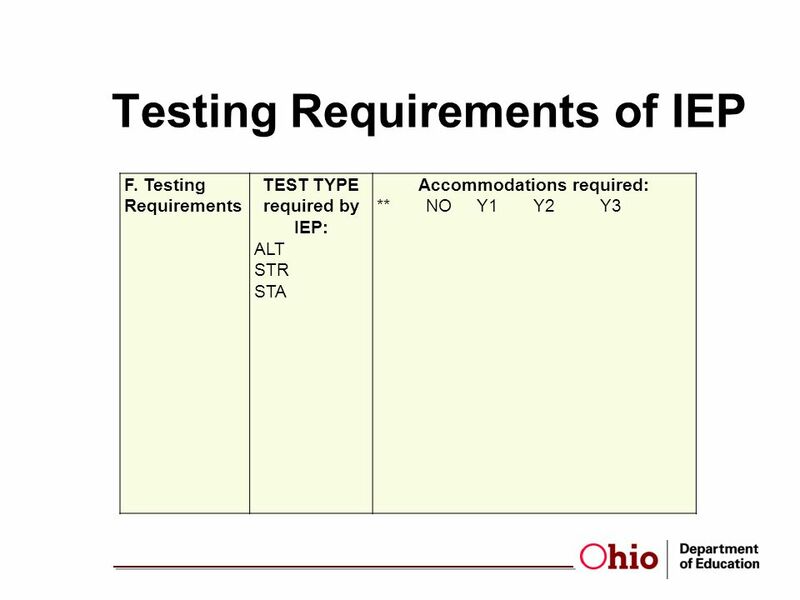 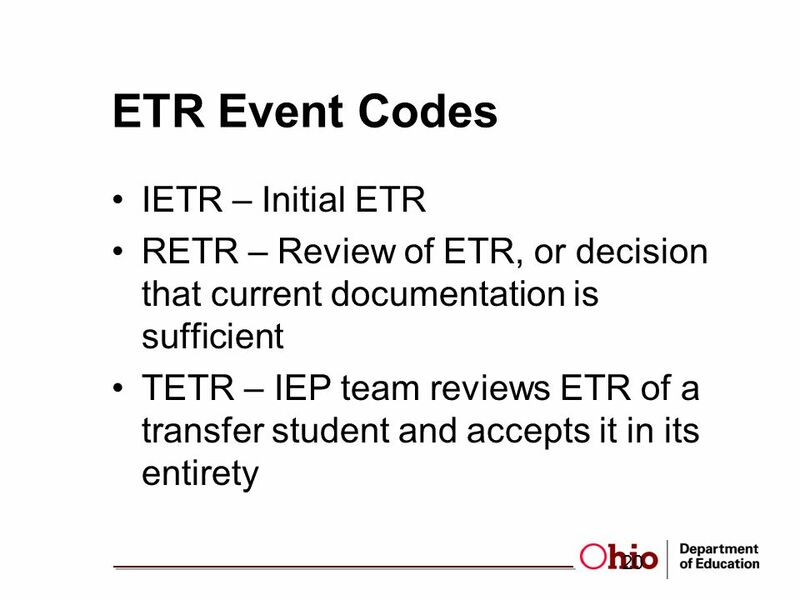 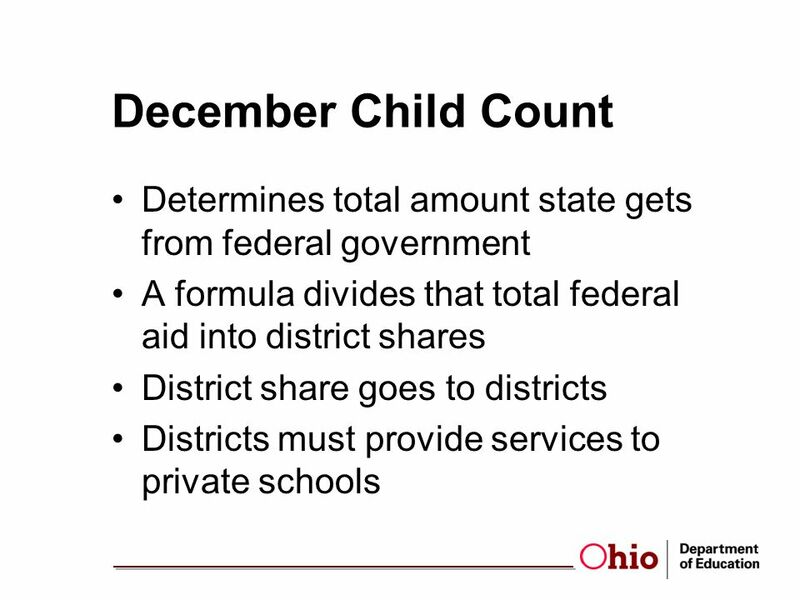 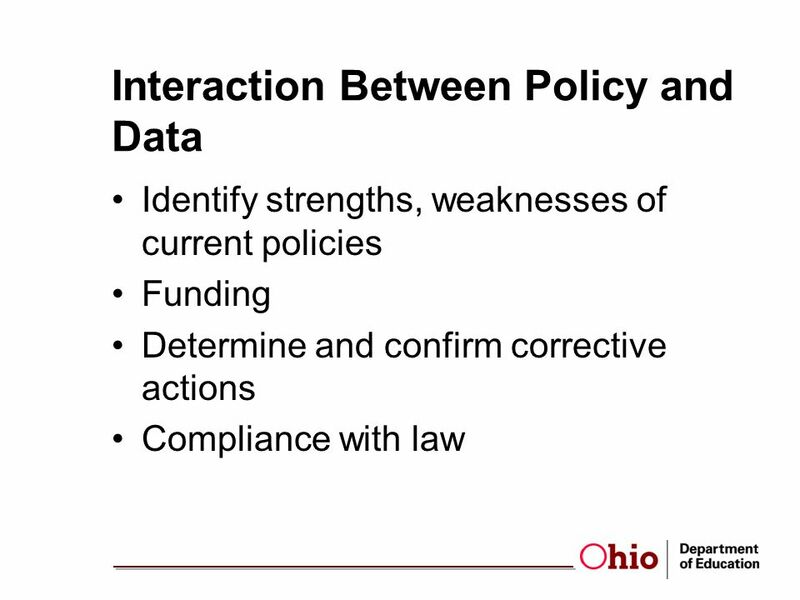 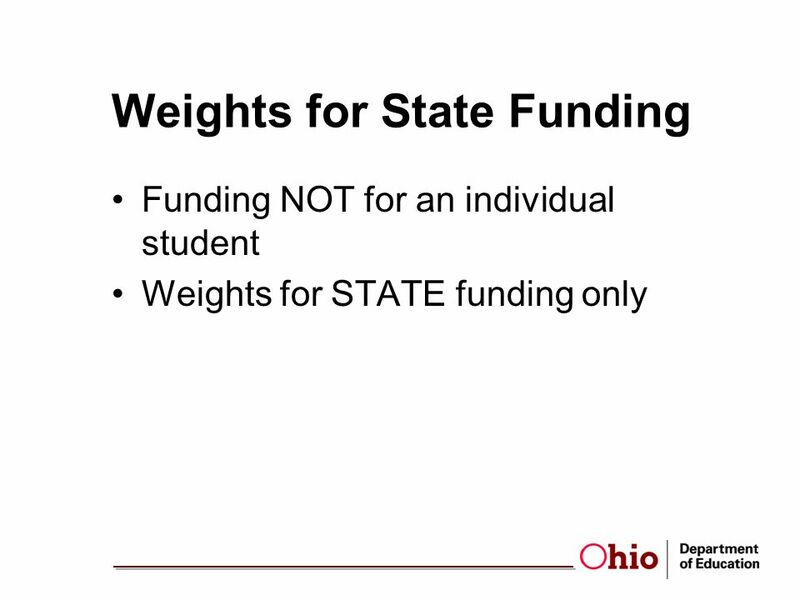 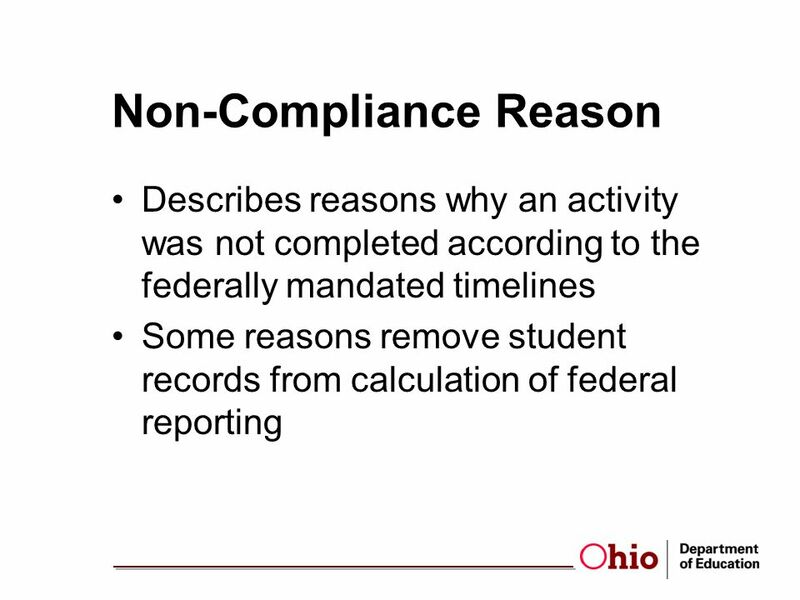 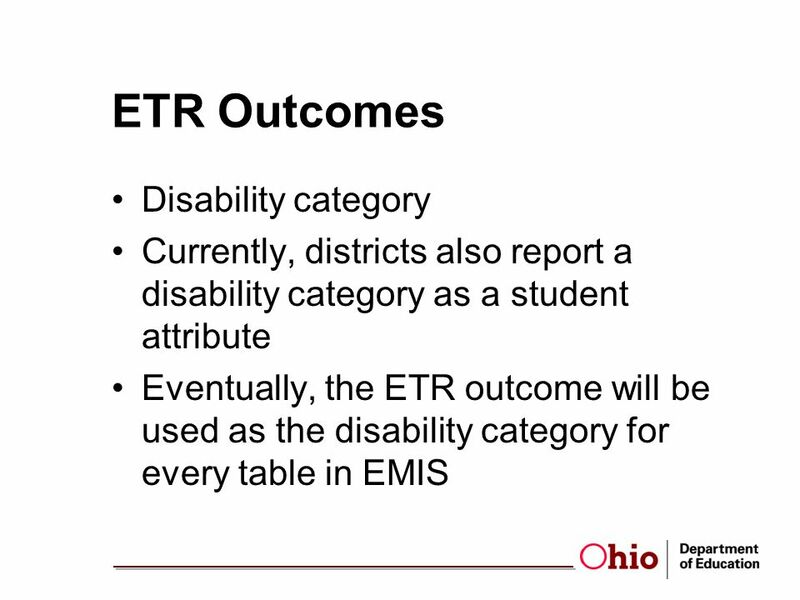 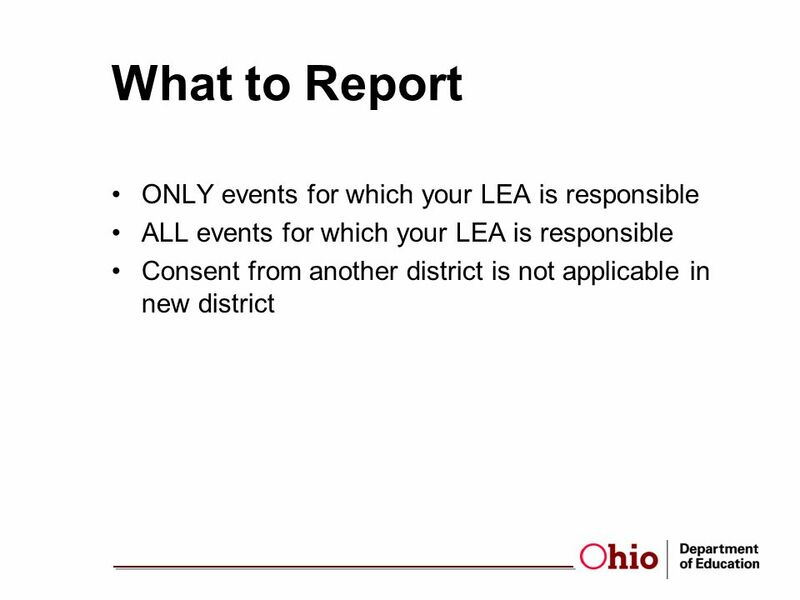 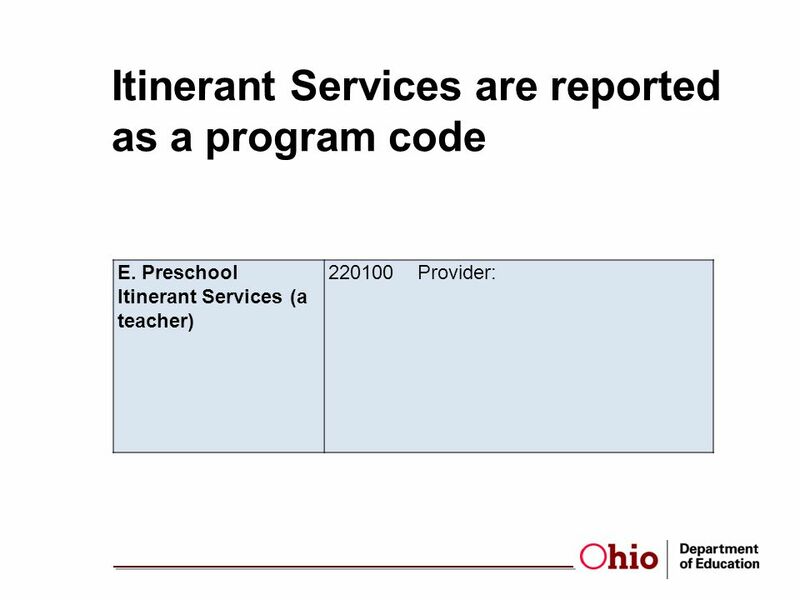 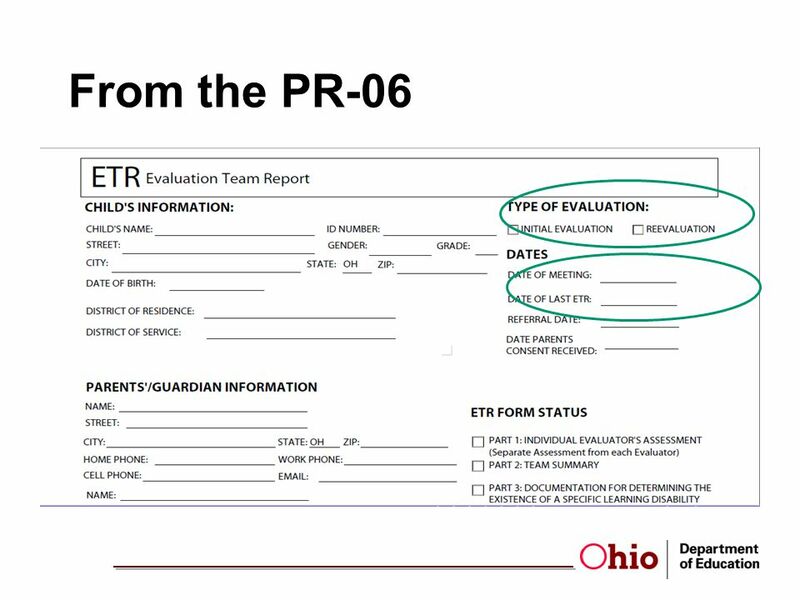 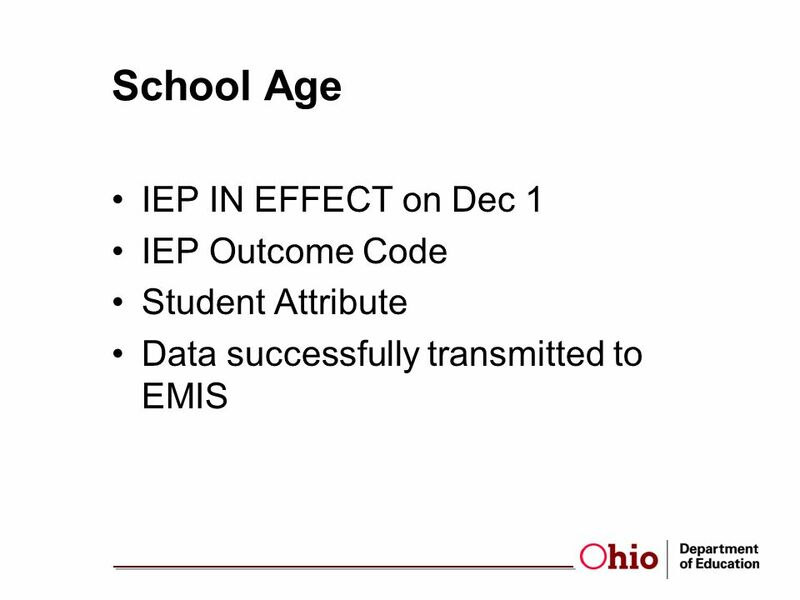 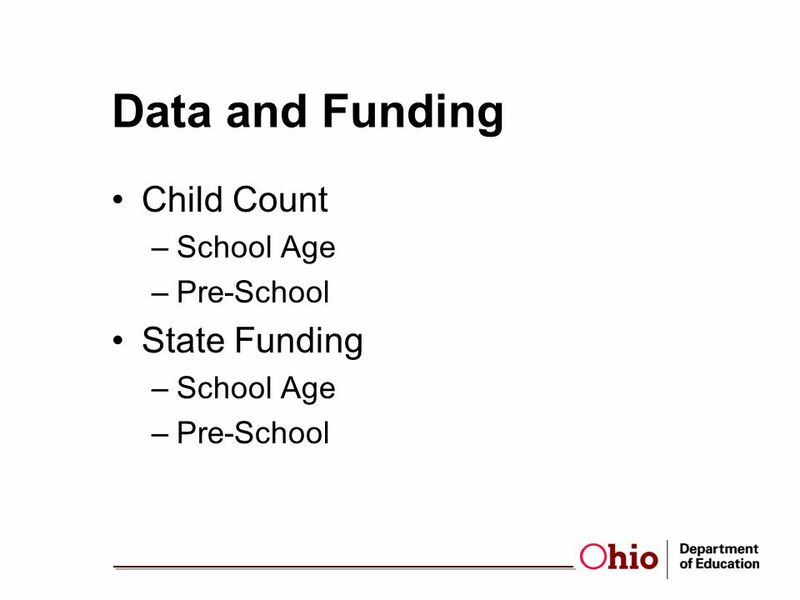 51 Questions As always, start with EMIS manual If necessary, contact your ITC Then, email Anne.Skaggs@education.ohio.gov In any email, INCLUDE YOUR DIRN! 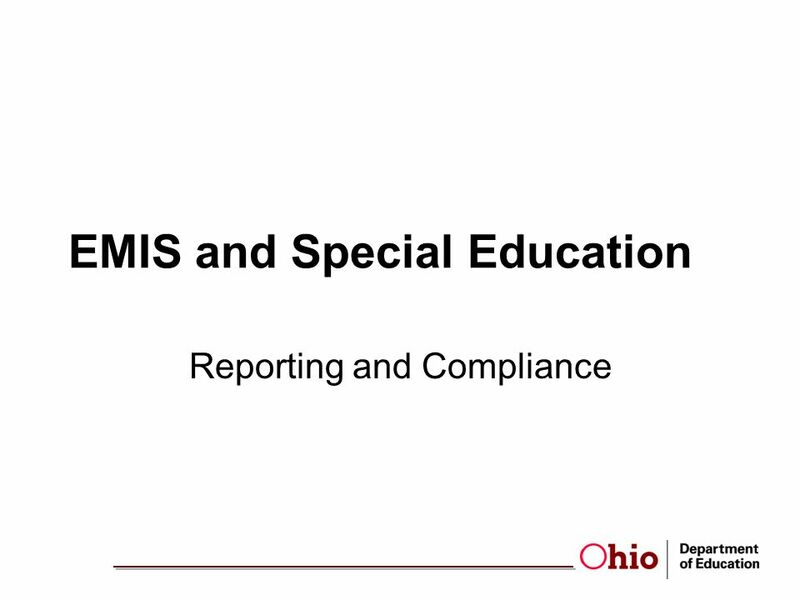 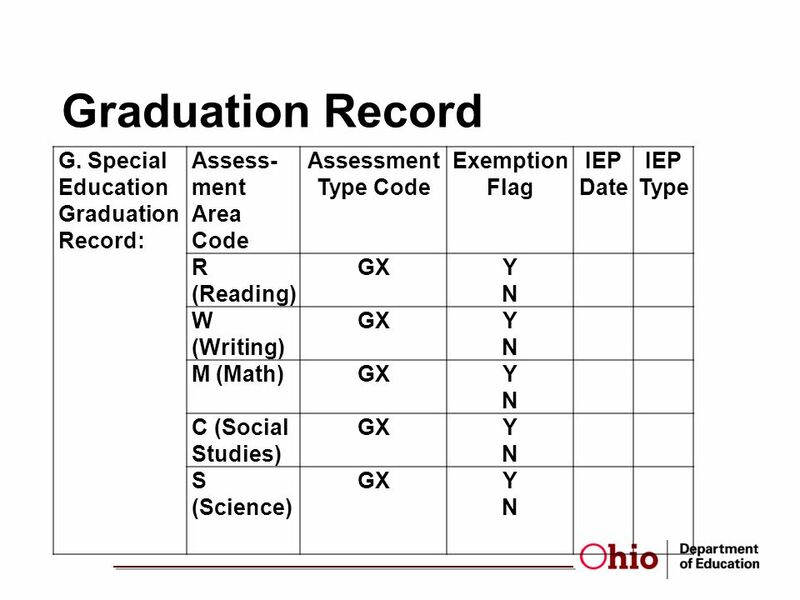 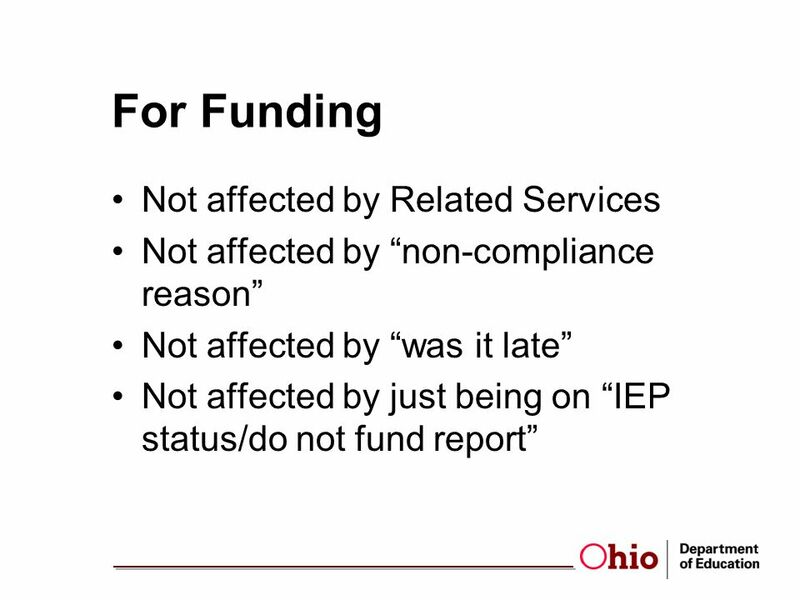 Download ppt "EMIS and Special Education Reporting and Compliance." 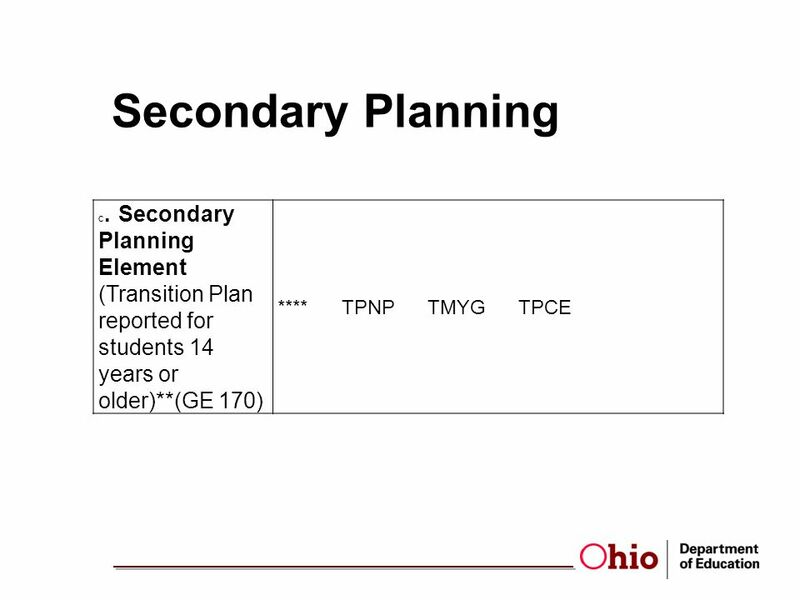 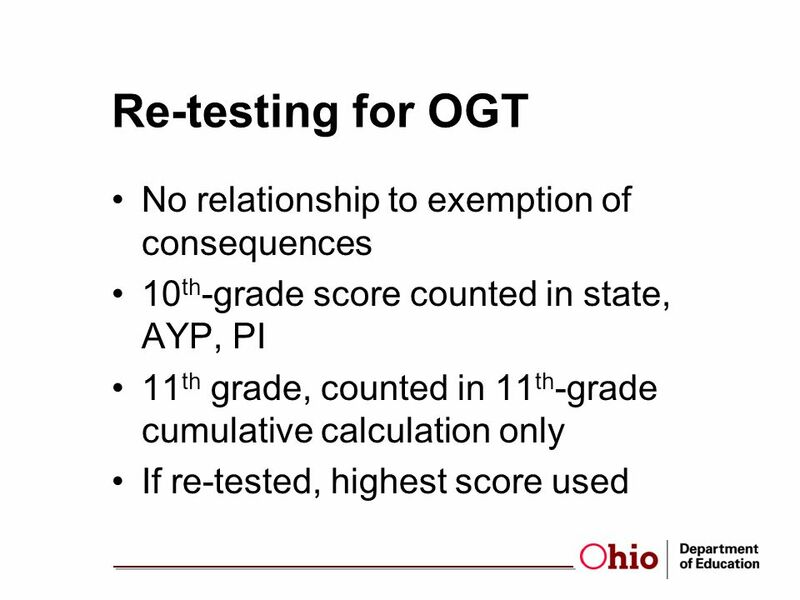 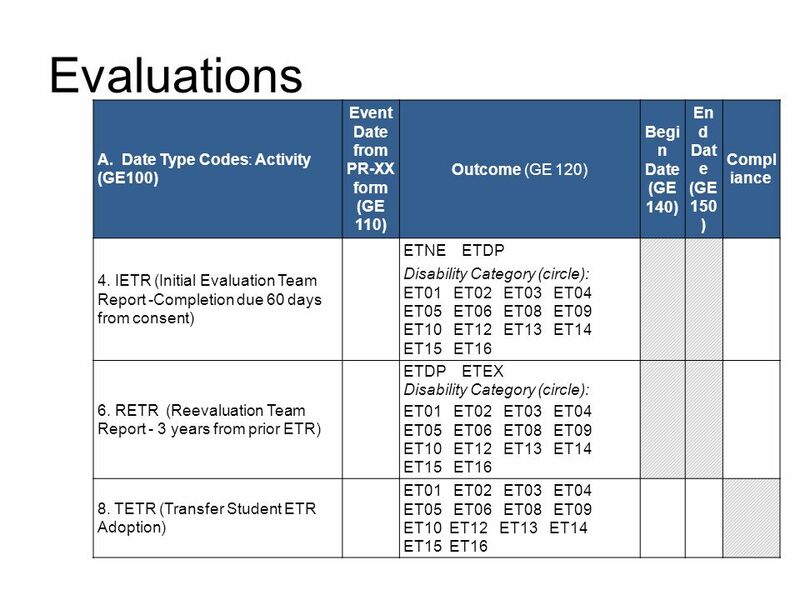 State-wide Assessment Update for What Does TNs Alternate Assessment Program Look Like Now? 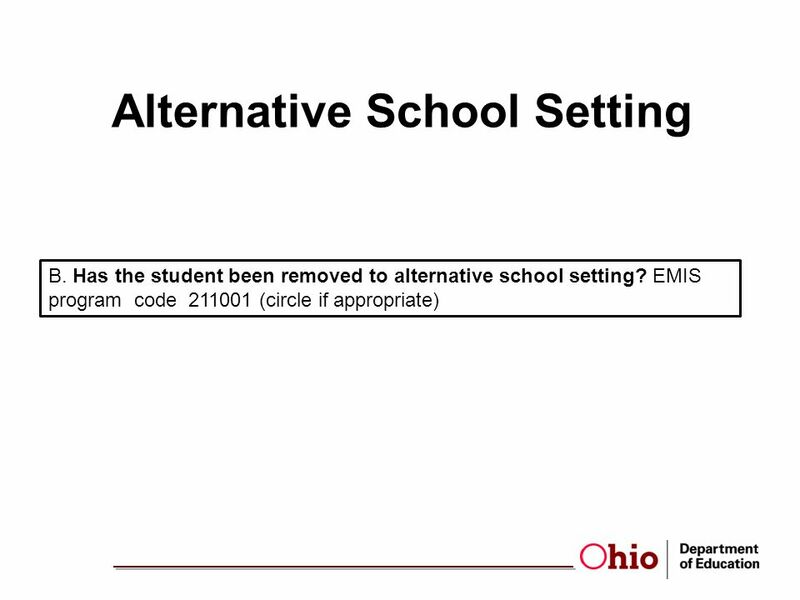 Alternate Assessment General Assessment Alternate. 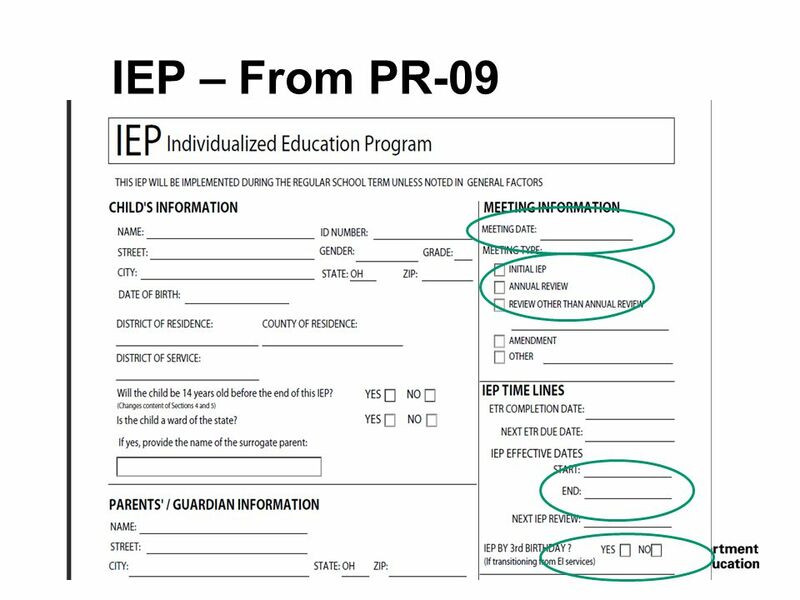 EC Referrals Marsha Holleman/Nancy Simmons Jolee Harney/Jenny Kurzer. 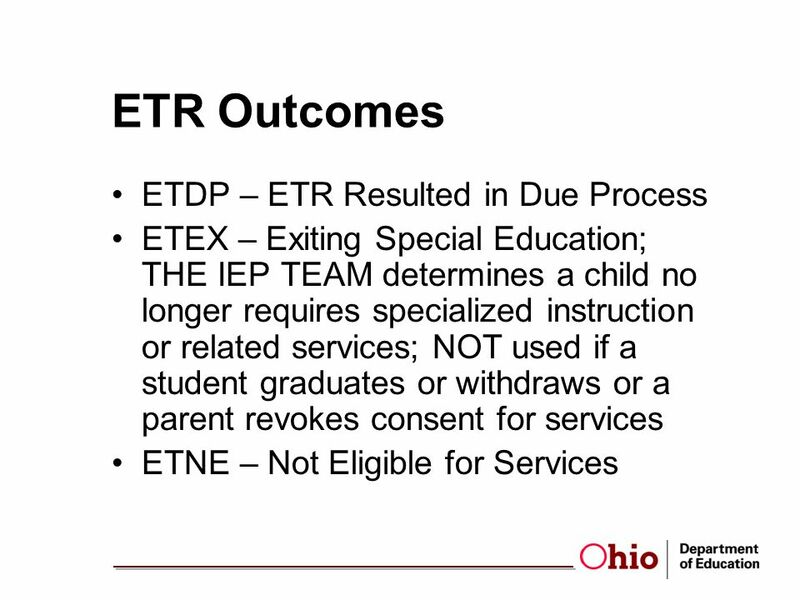 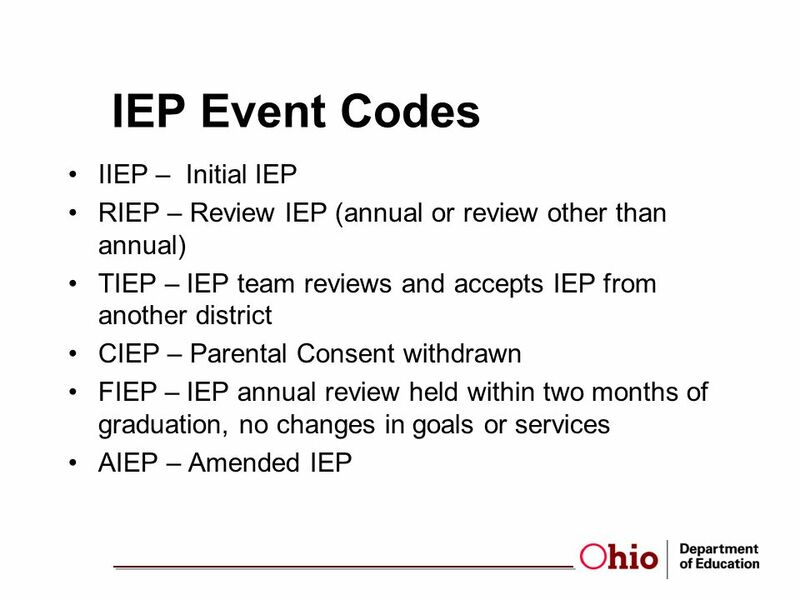 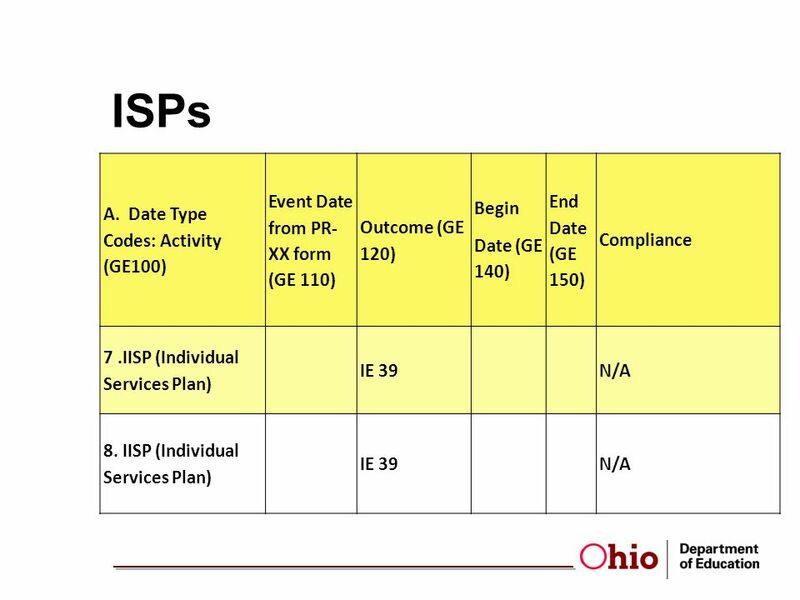 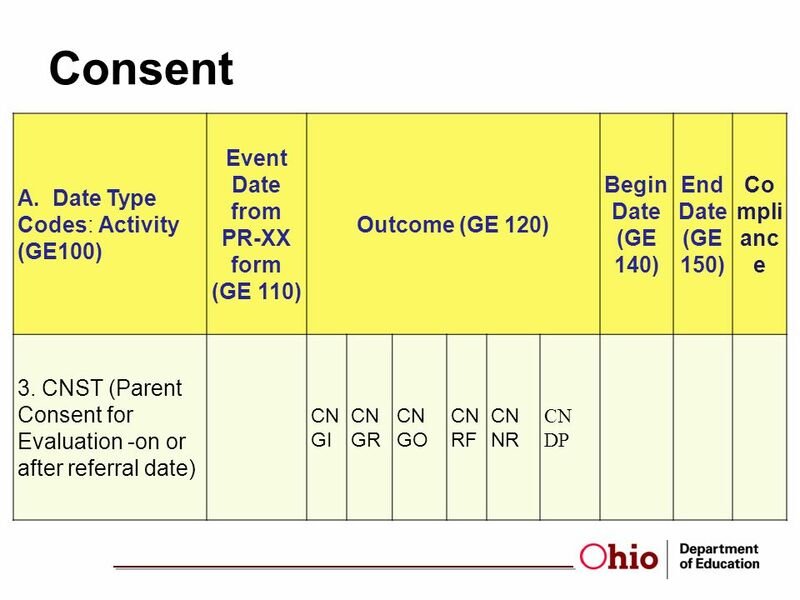 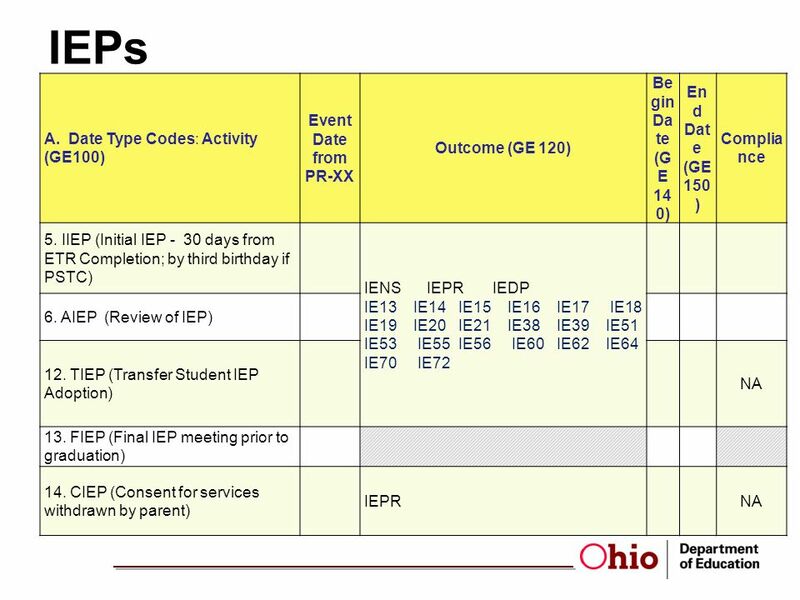 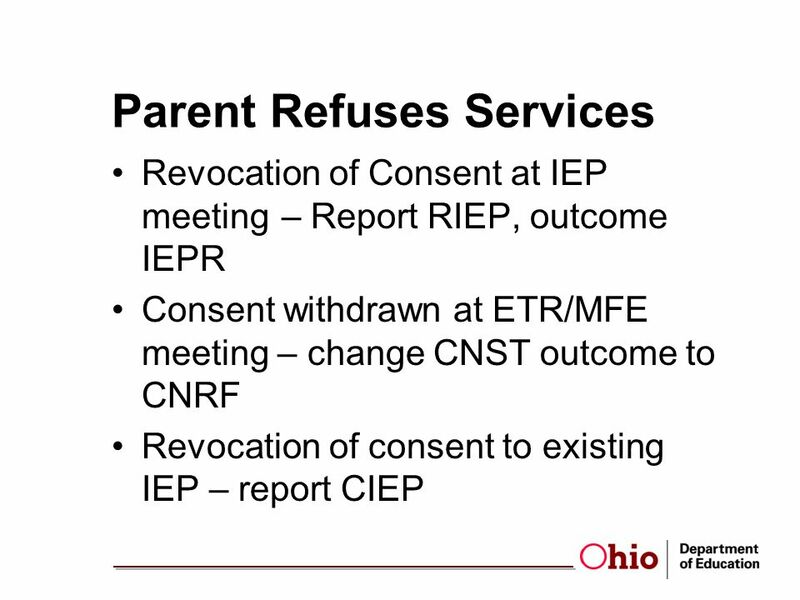 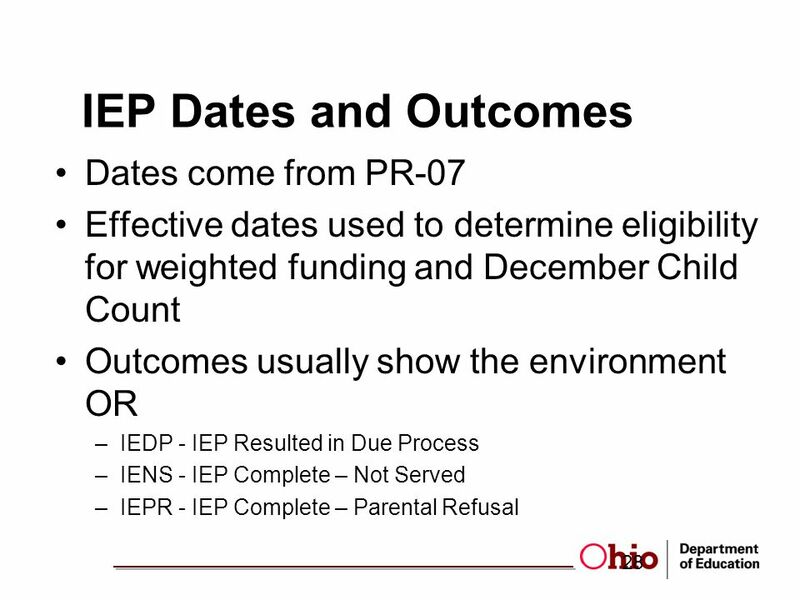 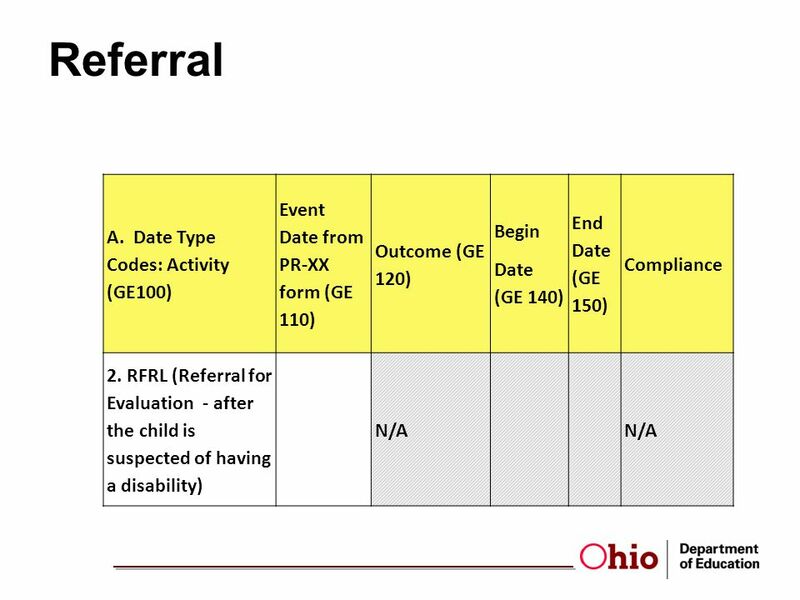 Finalizing the IEP Process Consent for Initial IEP PWN following the IEP Copies to Parent IEP Amendments Revocation of Consent West Virginia Department. 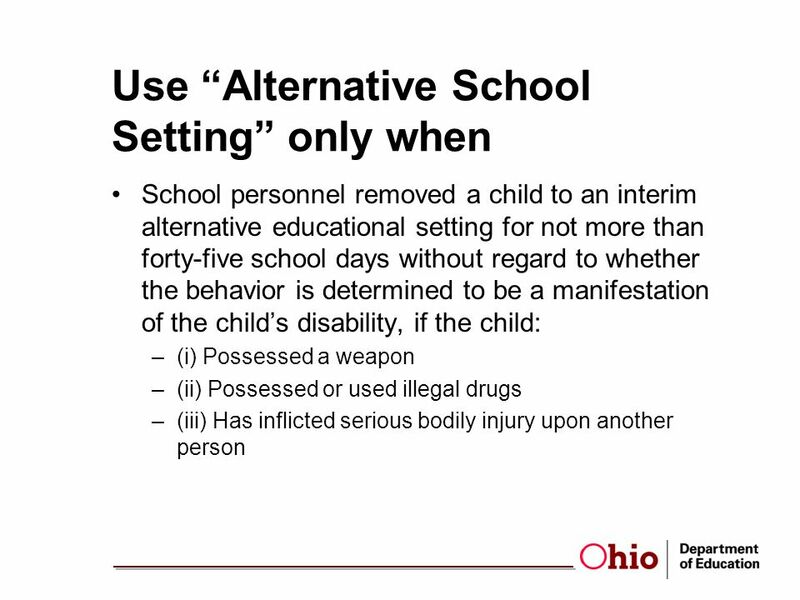 Discipline Under the IDEA Tulsa Public Schools Special Education and Student Services Presenter: Cheryl Henry August, 2011. 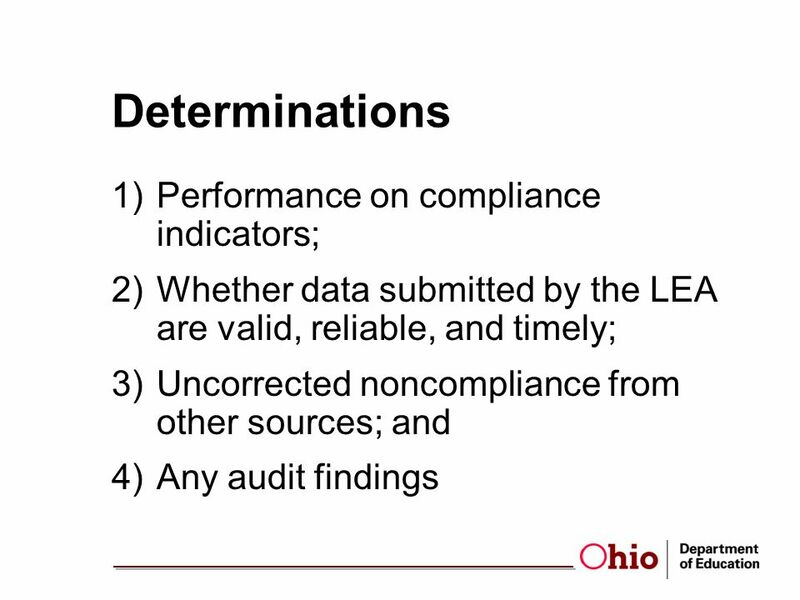 INDICATORS 11 AND 13 Bureau of Indian Education Division of Performance and Accountability WebEx October 18, 2011 DESK AUDIT. 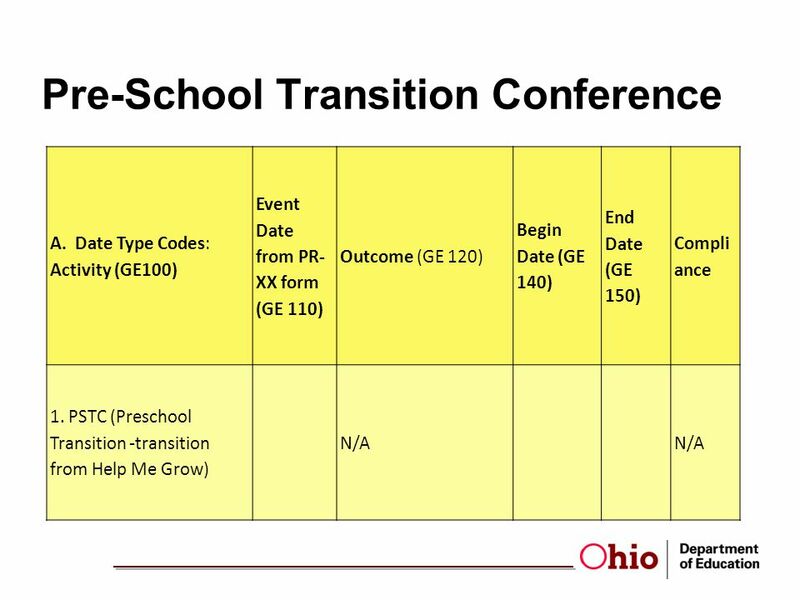 From Here to Here Transition from Infant and Toddler Connection Programs to ECSE School Division Programs. 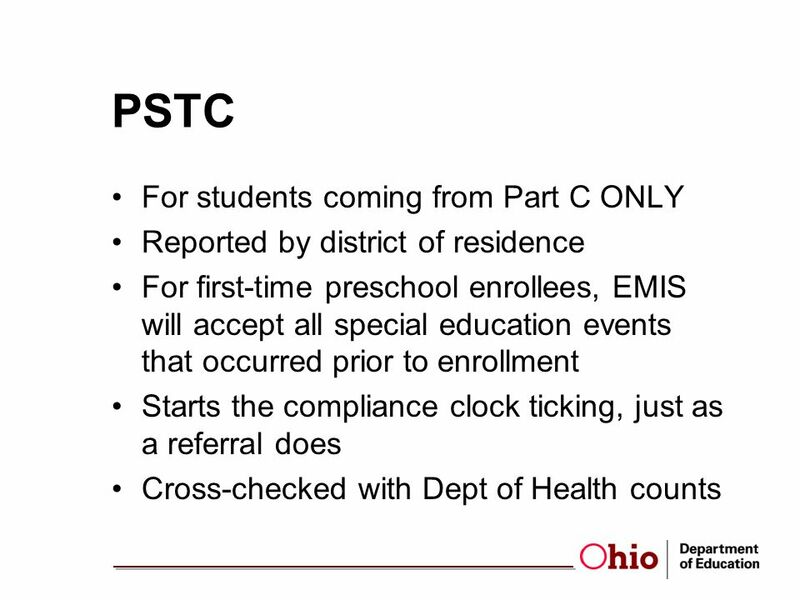 EMIS - Special Education October 25, 2006 Presented by: Tracey Potts, SEOVEC Erin Brooks, SEOVEC. 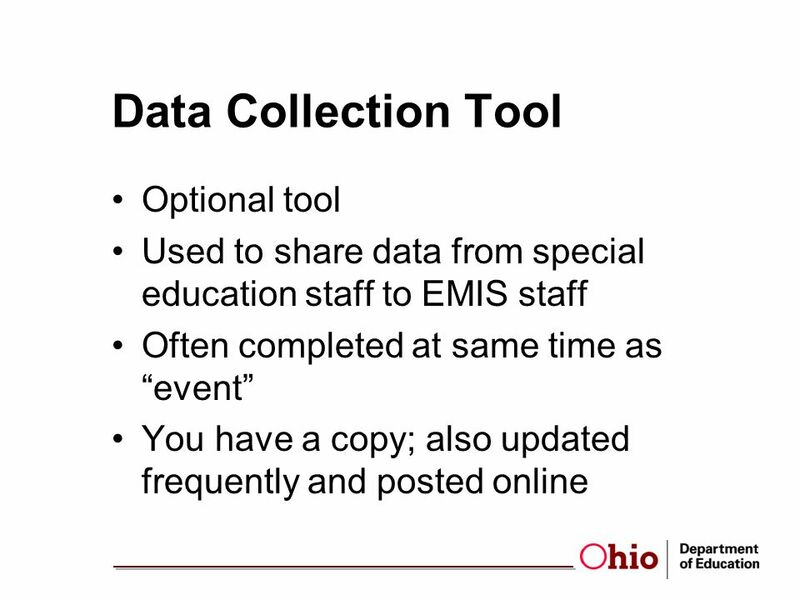 ACCESS EMIS Coordinator Meeting November 28, 2012. 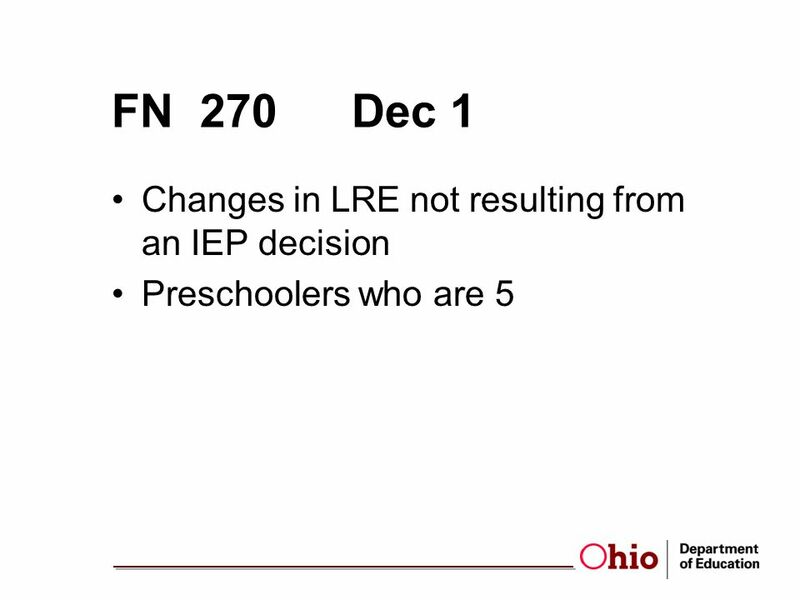 OCT FY07 eSIS eMOOSE Changes Eric S. Lammers. 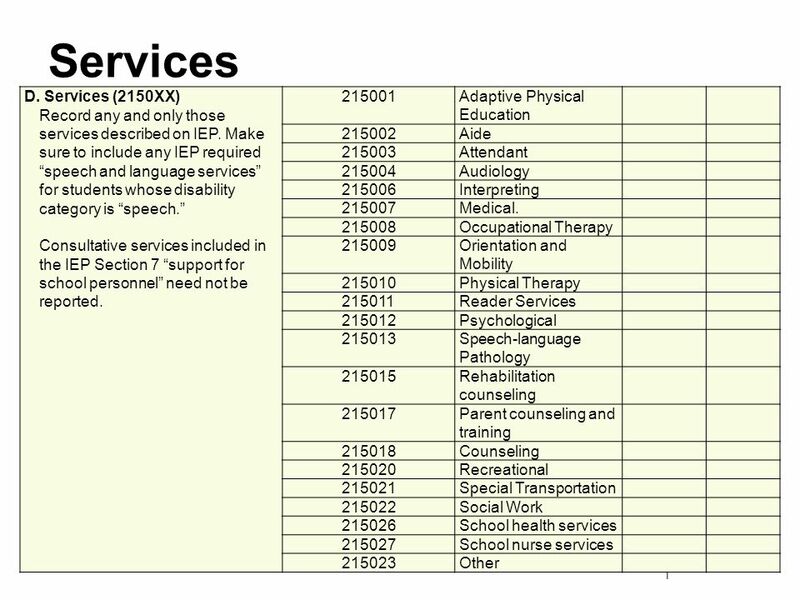 Summary of FY07 OCT Changes Miscellaneous Updates EMIS Documentation EMIS Documentation System Code Script. 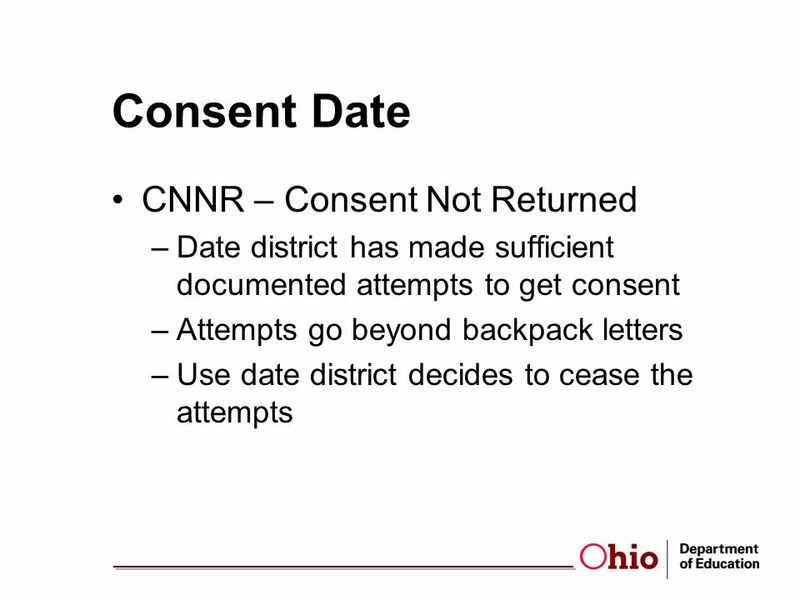 Your Rights! 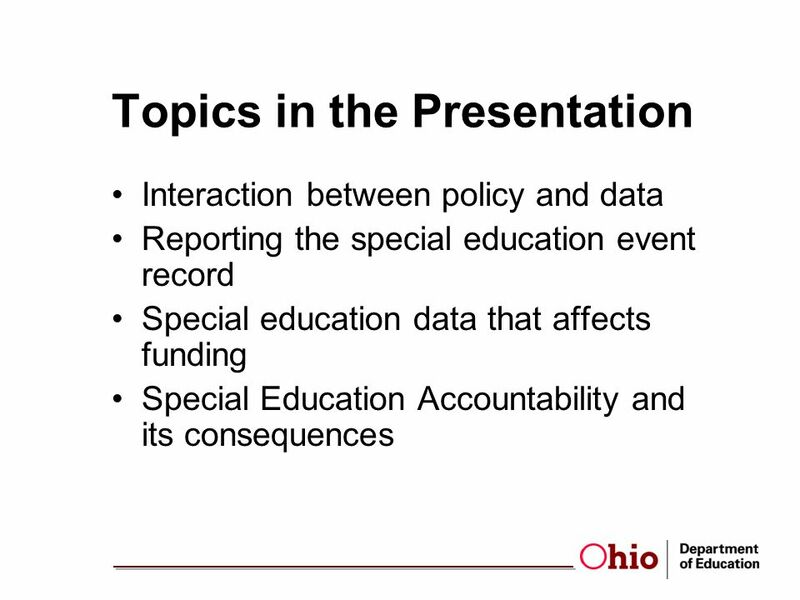 An overview of Special Education Laws Presented by: The Individual Needs Department.